7 Kids and Us: Awesimals are Fun, Interactive iPod Cases for Kids! Awesimals are Fun, Interactive iPod Cases for Kids! 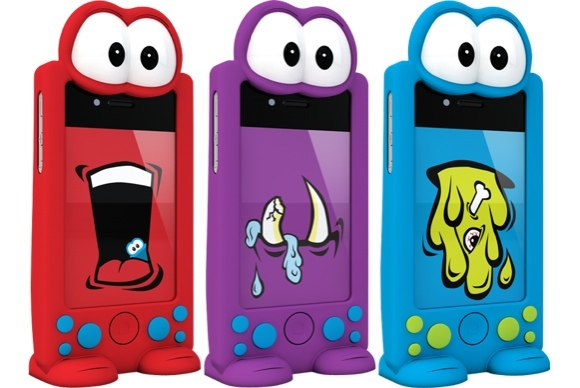 A fun, interactive iPhone and iPod Touch character case that's made just for kids. Now available for $14.99 with free shipping! A case that’s not just a case, but a fun character that comes to life by talking back when it’s spoken to. An Awesimal can stand up or lay on it’s side to watch movies and videos. And this little guy even protects your iPhone or iPod Touch. Kids, say hello to your new little friend. Get the Awesimals App for just 99 Cents HERE. You can purchase an Awesimals Case here for about $15!